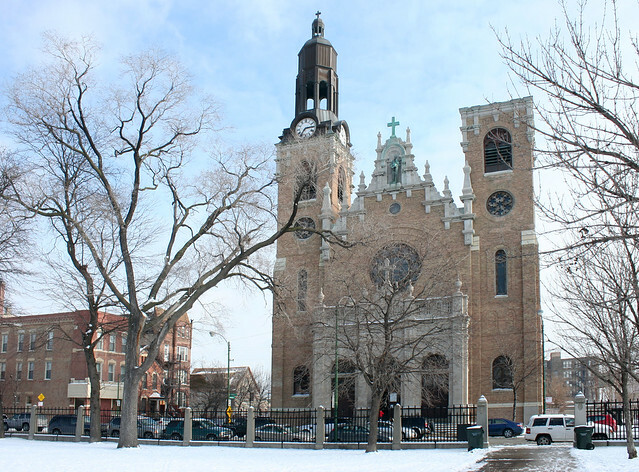 Exuberantly ornamented, overloaded with articulation, the gangly, delightful facade of St. Stanislaus Kostka Church has loomed over its stretch of Noble Street for over 140 years – predating even Pulaski Park across the street. 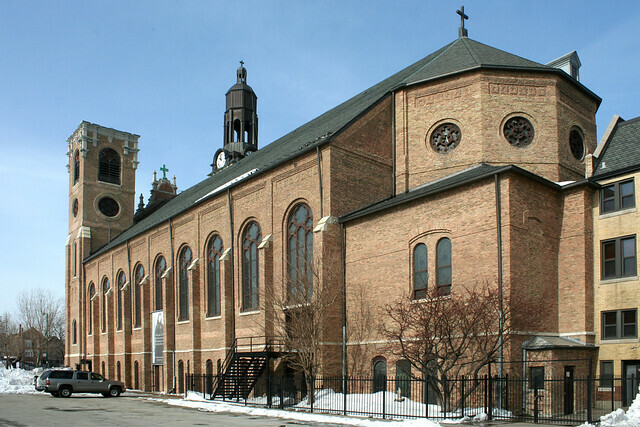 St. Stanislaus is the Polish mother church of Chicago, the one from which all others sprang. 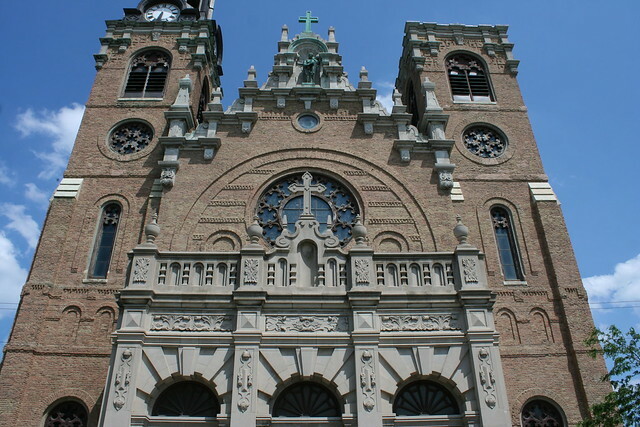 Designed by prolific Catholic architect Patrick Keeley (also responsible for Holy Name and the endangered St. James), the building was begun in 1876 and dedicated five years later. The towers were completed in 1892 and were originally identical. In June of 1964, a massive storm roared through Chicagoland; lightning hit the southern tower and started a fire which destroyed the cupola. The surviving northern cupola has also been “modernized”, losing a slathering of decorative trim, to detrimental effect. But on the facade, a blizzard of stone and brick ornament remains, a festively overwrought assemblage repeatedly referred to as “Renaissance style” in the press, though the name – like “Victorian” – refers to a time period rather than a style. St. Stanislaus is such an individualistic creation that it’s difficult to pin a single name on its style. The stair-step facade, however, is a distinctly Flemish element. The exuberant facade conceals a more disciplined space within. Different styles of church sanctuaries create different effects for their inhabitants. 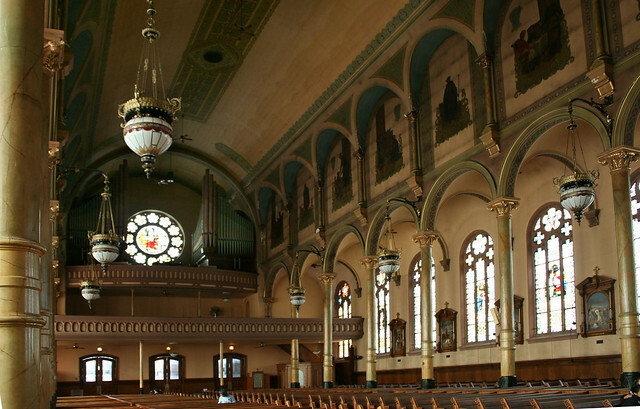 The round and square plan designs of the 1880s were meant to bring the congregation more closely together, enhancing spirituality by building community – Lake View Presbyterian is a fine example. Post-Victorian efforts like Holy Trinity are intended to overawe – to glorify God through size, ornament and decoration. And the great Gothic cathedrals of Europe brought a sense of mystery and wonder to the worship space, through their towering height, the mystical light filtered through their vast stained glass windows, and the contrast of light and shadow. Large but not enormous, tall but not overpowering, St. Stanislaus lies somewhere between the Gothics and the Holy Trinities of the world. 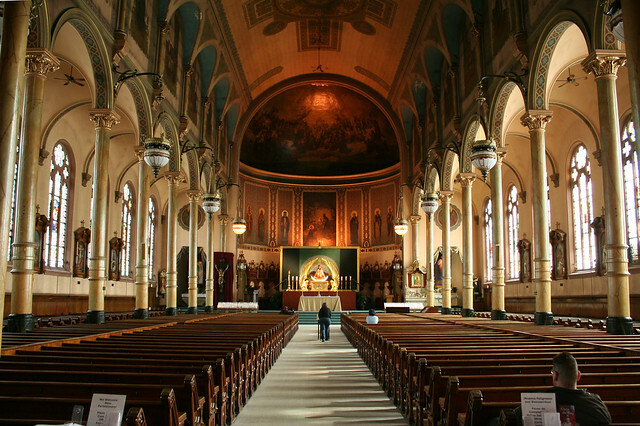 Not as soaring as St. John Cantius, nor as gigantic and open as Holy Trinity, St. Stanislaus instead offers a refined and measured space. The rows of columns elegantly define the side aisles. 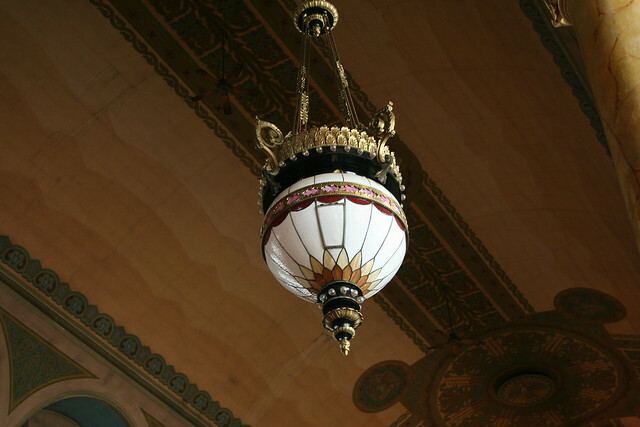 The lighting fixtures appear to be original, and much about the church seems unchanged since days of yore. 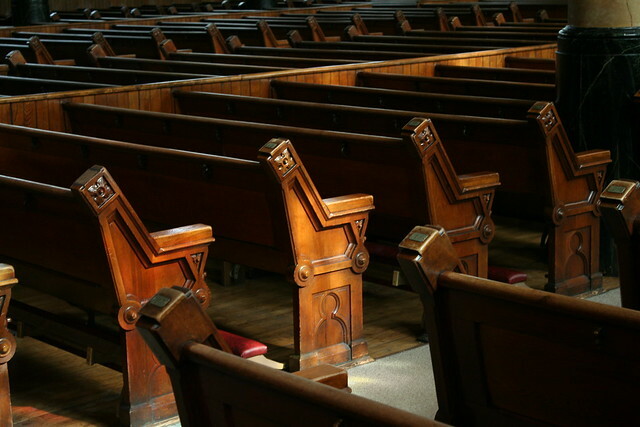 The pews are the most characteristic of the church’s Victorian roots, with piston-like carvings on their sides reflecting the rising machine age. The altar table and reredos are certainly modern innovations. 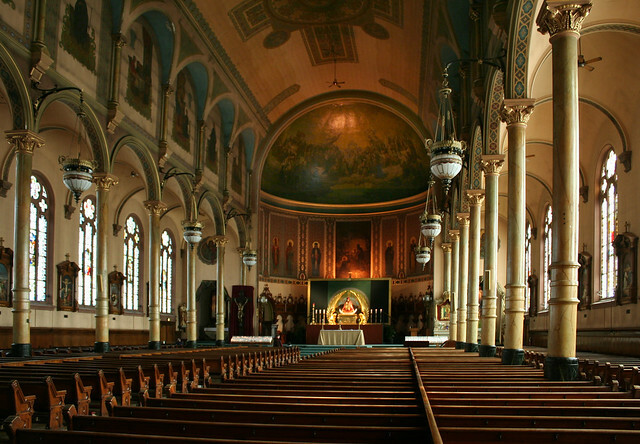 St. Stanislaus was endangered by the construction of the Kennedy Expressway in the 1950s, but a tide of protest – and an alternate route of the freeway that proved to be cheaper – spared it. Today the Interstate actually curves around the building’s back. Today the church offers mass in Polish, Spanish and English. 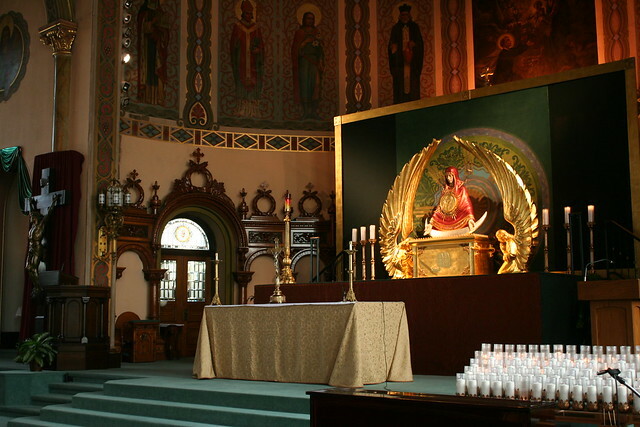 As a home for Eucharistic adoration, it is open for much of the week – making it one of the most accessible of Chicago’s grand churches.